The head of a Florida auction house who sold raw horns from endangered black rhinos to a Chinese smuggling ring has been jailed for three years by a United States federal court. Christopher Hayes was also sentenced to two years of supervision after his release, for his role in an illegal wildlife trafficking conspiracy that bought, sold and smuggled rhino horns and objects made from rhino horn, elephant ivory and coral from the US to China. His company, Elite Estate Buyers and Elite Decorative Arts, was ordered to pay a $1.5-million fine and has been banned from trading in wildlife products during a five-year probation term. 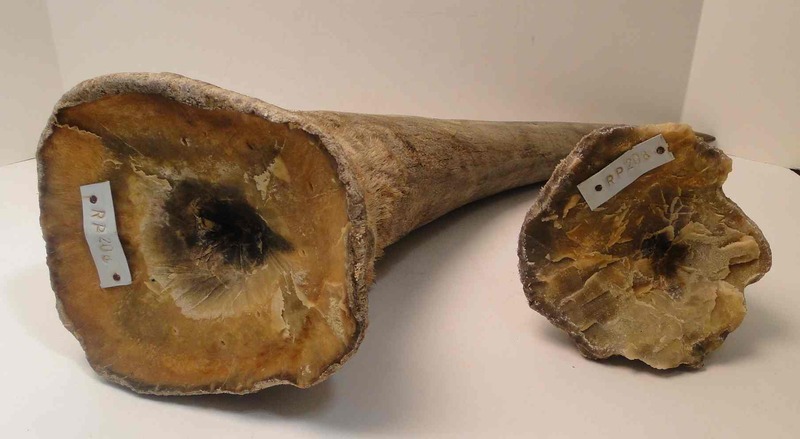 According to records filed in court, Hayes and his company sold six endangered black rhino horns. Two of the horns were sold for $80,500 to Ning Qiu, a Texas resident involved in smuggling the horns to China. Qiu was jailed on May 14 after he pleaded guilty to being part of the conspiracy to smuggle rhino horns and items made from rhino horns to crime boss Zhifei Li. Zhifei Li, the owner of an antique business in China and the ringleader of a criminal enterprise that smuggled 30 horns and ivory worth more than $4.5-million from the US to China, was sentenced in June 2014 to nearly six years in prison. “This case highlights the part seemingly legitimate auction houses and other businesses can play in the illegal trafficking of wildlife and wildlife products – as well as the direct connection US businesses and citizens have to this international crisis,” said Dan Ashe, director of the US Fish & Wildlife Service. Charges were brought after Hayes bought endangered black rhino horns from an undercover special agent with the Fish & Wildlife Service. Hayes and Elite pleaded guilty, admitting to selling more than 8.6kg of rhino horn with an estimated value of more than $400,000. Elite aided foreign buyers by directing them to third-party shipping stores that were willing to send the horns out of the US with false paperwork. Hayes also admitted selling items made from rhino horn, ivory and coral to Canadian antiques dealer Xiao Ju (“Tony”) Guan, who agreed to mail the items in Canada without required permits. Guan was jailed for 30 months on March 25 2015 in New York.